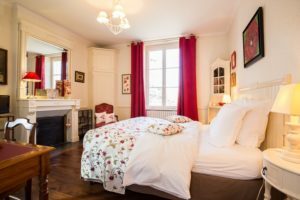 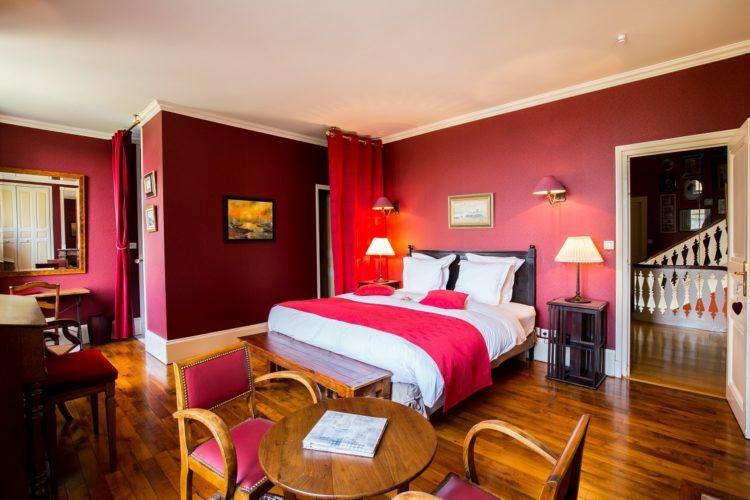 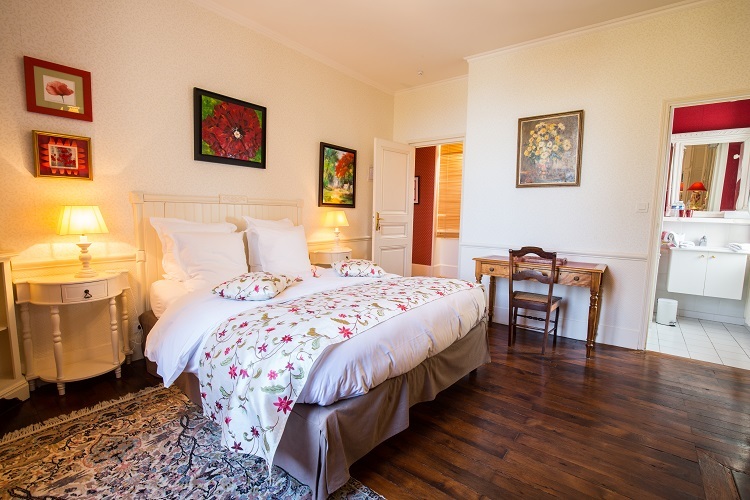 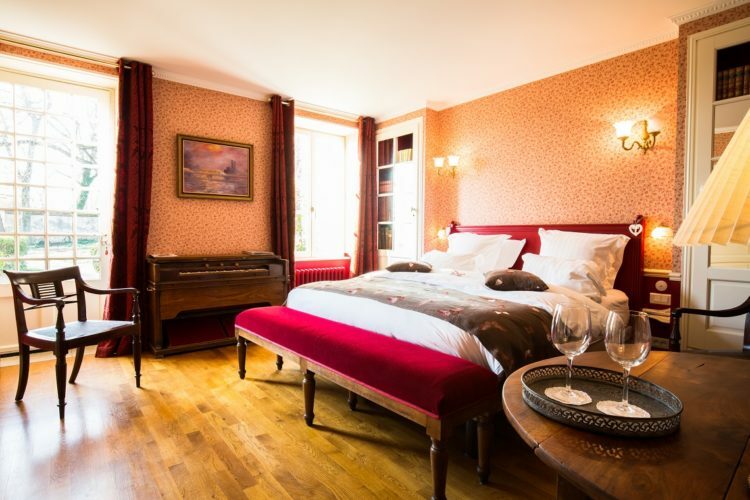 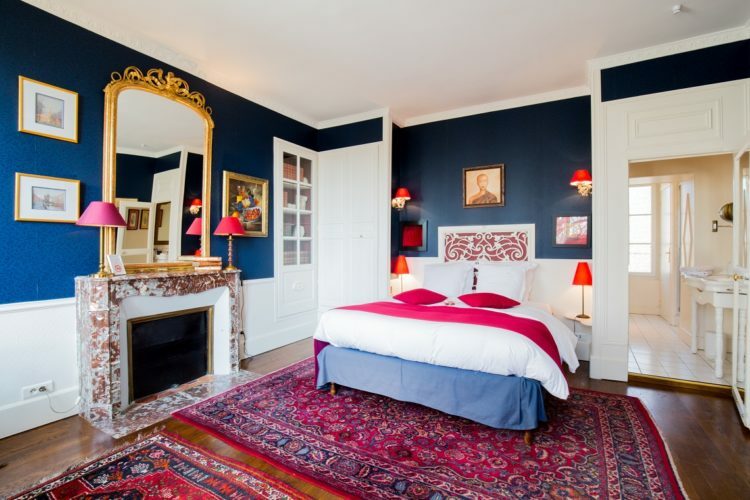 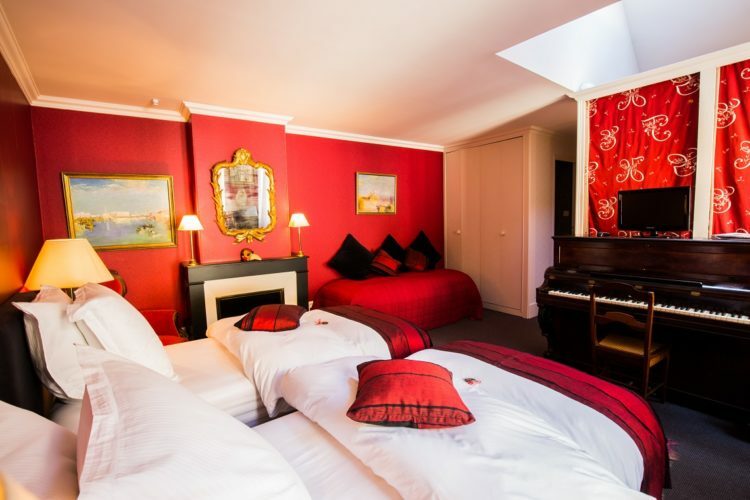 The soft colors of the beige room and the view of the Loire through the cedar branches will delight you. 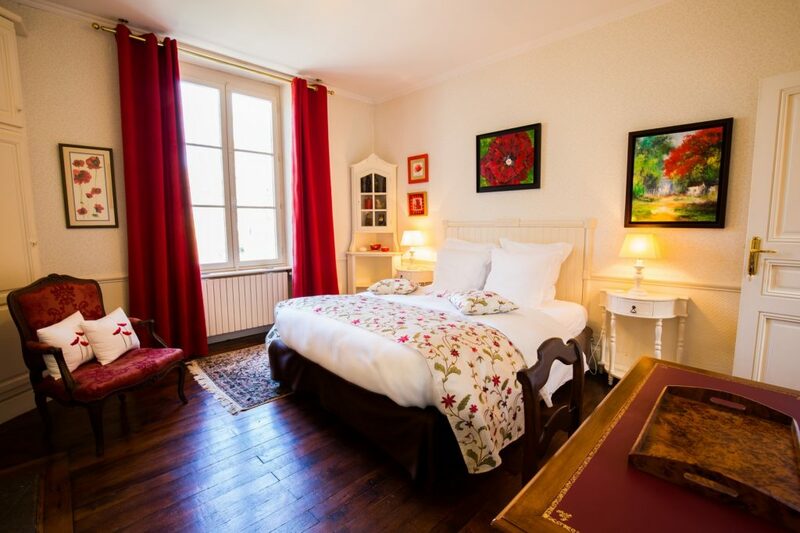 Located upstairs, it has a queen size bed comfort. 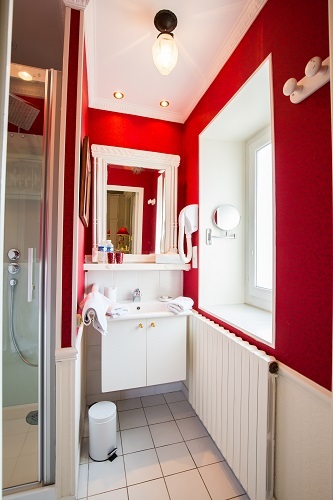 The toilets are separated from the bathroom with a bathtub. Magnifying mirror, hair dryer, safe, wifi and TV complete the equipment you have in the soft beige room. 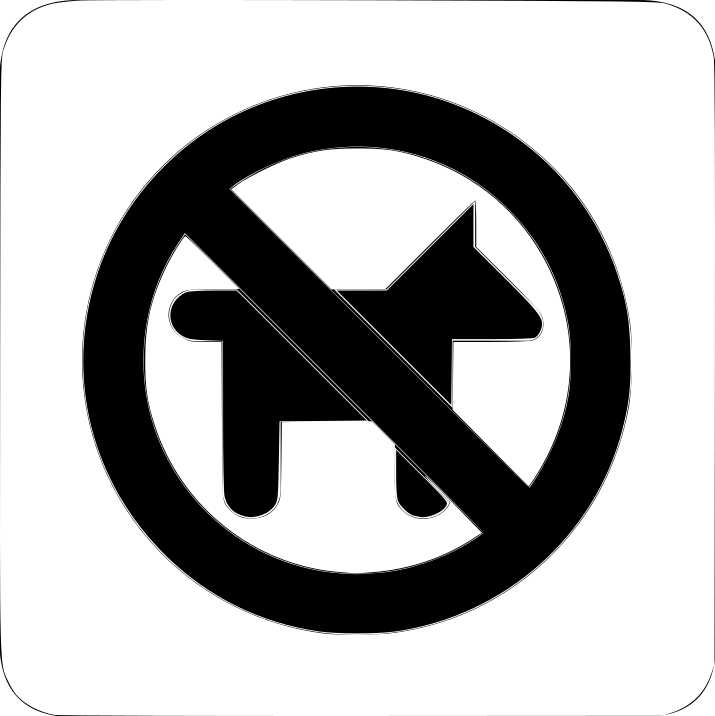 Pets are not allowed inside the Prieure Saint Agnan.